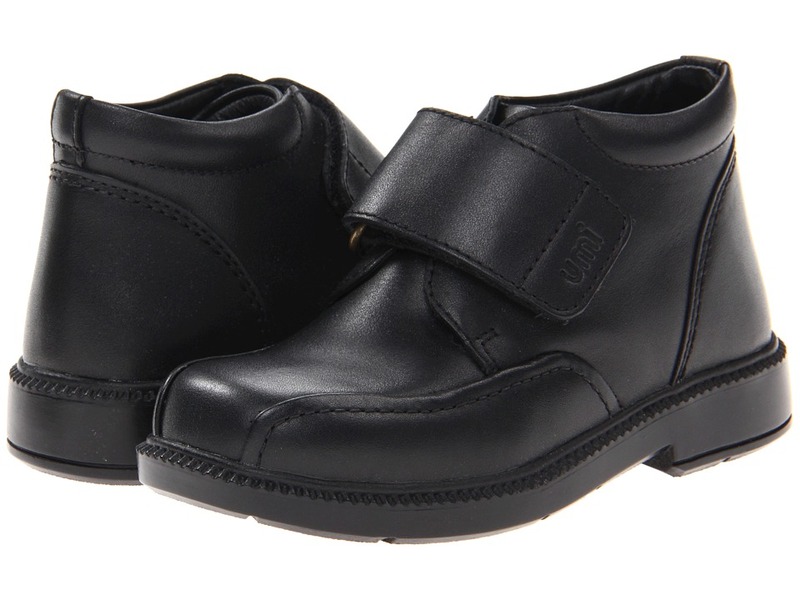 Perfect for school uniforms and more, these Umi&amp#174 Kids loafers are sure to quickly become a favorite. Supple suede upper with patent leather accents. Slip-on design for quick and easy on and off. Naturally breathable leather lining helps keep feet dry and cool. Leather-covered insole is cushioned for all-day support. Durable rubber outsole. Imported. Measurements: Heel Height: 1 2 in Weight: 6 oz Platform Height: 1 2 in Product measurements were taken using size 34 (US 2 Little Kid), width M. Please note that measurements may vary by size. Weight of footwear is based on a single item, not a pair. Mocs and mary janes come together with this supercute pair of Umi&amp#174 Kids shoes. 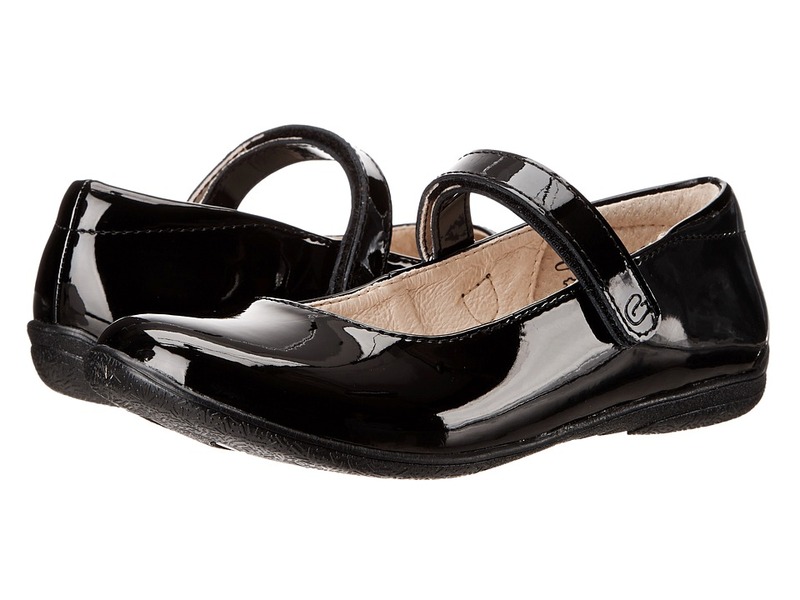 Patent leather upper with moc toe stitching and rubber nubs at the heel. Hook-and-loop strap across the instep for a secure and adjustable fit. Soft and breathable leather lining helps feet stay dry and cool. Leather-covered insole is cushioned for all-day support. Durable rubber outsole. Imported. Measurements: Weight: 6 oz Product measurements were taken using size 34 (US 2 Little Kid), width M. Please note that measurements may vary by size. Weight of footwear is based on a single item, not a pair. Perfect for dressing up and stylish for a more casual look as well, these Umi&amp#174 Kids boots are sure to fit the bill for whatever comes his way. Smooth leather upper in a handsome silhouette. Hook-and-loop closure for a secure fit as well as quick and easy on and off. Padded collar provides additional comfort and cushioning. Naturally breathable leather lining helps keep feet dry and cool. 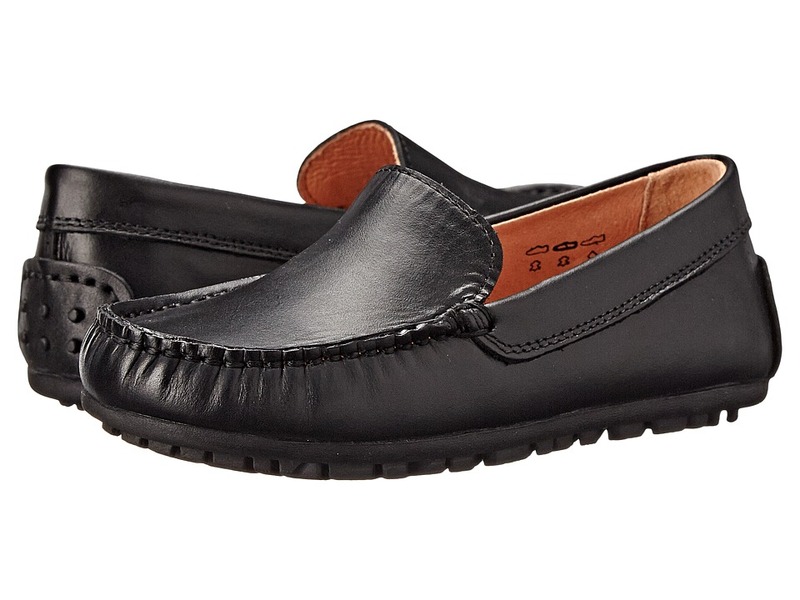 Leather-covered footbed is lightly cushioned for all-day support. Durable rubber outsole. Imported. Measurements: Heel Height: 1 in Weight: 7 oz Shaft: 2 1 2 in Product measurements were taken using size 27 (US 10 Toddler), width M. Please note that measurements may vary by size. Weight of footwear is based on a single item, not a pair. Stand out in the chorus line with the Ria II from Umi Kids. Leather upper. Adjustable hook-and-loop closure for easy on and off. Breathable leather lining. Leather insole for comfort and breathability. Reinforced contoured outsole for comfort and durability. Imported. Measurements: Heel Height: 1 2 in Weight: 6 oz Product measurements were taken using size 34 (US 2 Little Kid), width M. Please note that measurements may vary by size. Weight of footwear is based on a single item, not a pair. A penny for your thoughts! The David penny loafer has a genuine leather upper. Moccasin toe and penny strap. 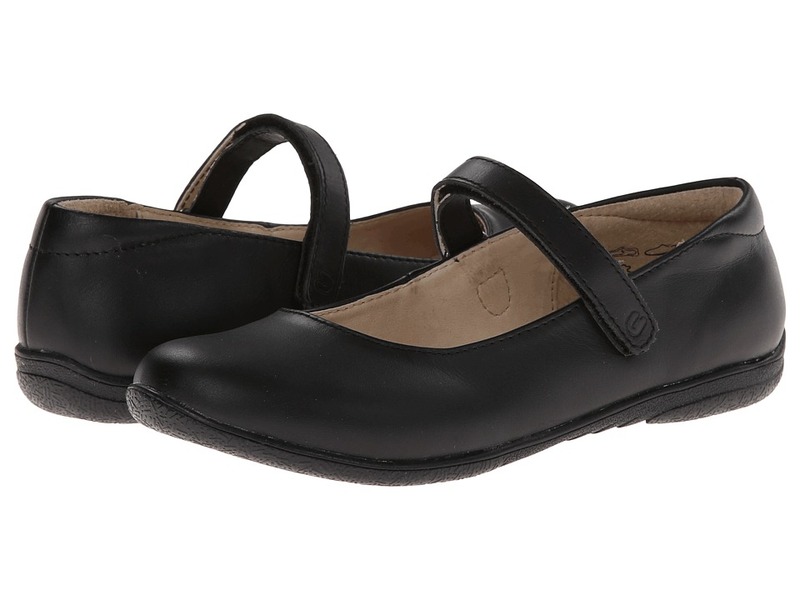 Naturally breathable leather lining and a leather-covered footbed that is cushioned for all-day support. Driver style heel. Durable rubber outsole. Imported. Measurements: Weight: 5 oz Product measurements were taken using size 24 (US 8 Toddler), width M. Please note that measurements may vary by size. Weight of footwear is based on a single item, not a pair. Let their personality shine through with the fun style of the Umi Kids Hana B shoe! Breathable canvas uppers and linings. Allover color collage pattern. Secure hook-and-loop strap closure for easy on and off. Cushioned canvas footbed. Contoured rubber outsole for extra stability and support. Imported. Measurements: Weight: 6 oz Product measurements were taken using size 25 (US 8.5 Toddler), width M. Please note that measurements may vary by size. Weight of footwear is based on a single item, not a pair. Let their personality shine through with the fun style of the Umi Kids Hana B II shoe! Breathable canvas uppers and linings. Allover color collage pattern. Secure hook-and-loop strap closure for easy on and off. Cushioned canvas footbed. Contoured rubber outsole for extra stability and support. Imported. Measurements: Weight: 7 oz Product measurements were taken using size 34 (US 2 Little Kid), width M. Please note that measurements may vary by size. Weight of footwear is based on a single item, not a pair. Stand out in the chorus line with the Ria II from Umi Kids. Leather upper. Adjustable hook-and-loop closure for easy on and off. Breathable leather lining. Leather insole for comfort and breathability. Reinforced contoured outsole for comfort and durability. Imported. Weight of footwear is based on a single item, not a pair. 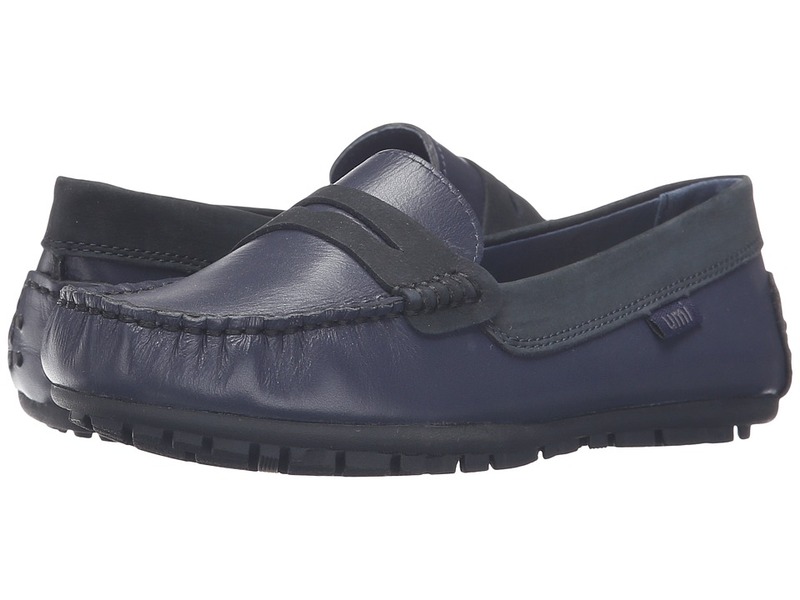 Look debonair in these Umi&amp#174 Kids loafers that are easy to slip on and off. Smooth leather upper with moccasin toe. Padded tongue and collar provide additional comfort and cushioning. 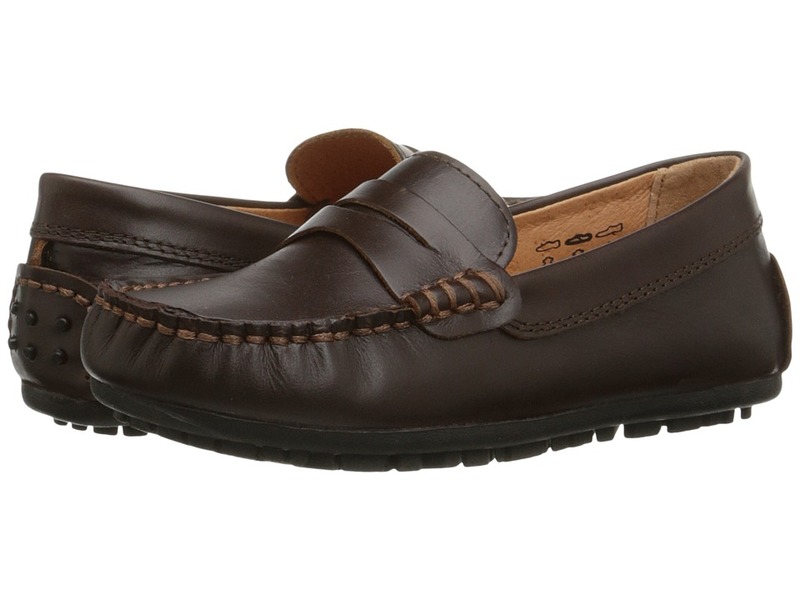 Naturally breathable leather lining and a leather-covered footbed that is cushioned for all-day support. Driver style heel. Durable rubber outsole. Imported. Measurements: Weight: 6 oz Product measurements were taken using size 31 (US 13 Little Kid), width M. Please note that measurements may vary by size. Weight of footwear is based on a single item, not a pair.